Thanks for all who came through Ferret Hollow. It was a great sunny day, well over 600 people attended. 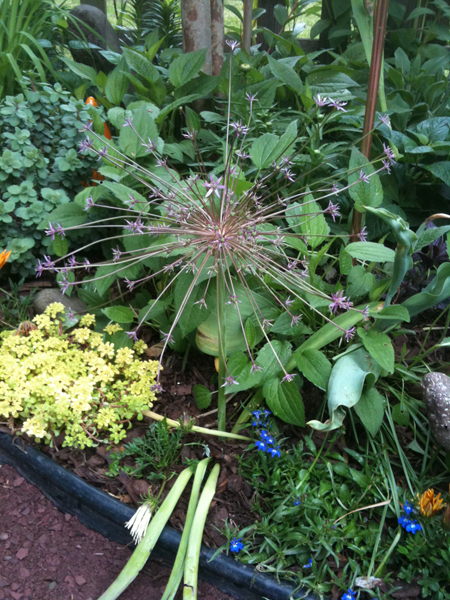 The hit of the day were the starburst allium, Allium schubertii, that I have been growing for a number of years. Unfortunately two of them didn't make it through the rough winter we had. The pond Koi were busy spawning in the newly 50% water change that cleared it up quite a lot from all of the pollen that was in it. 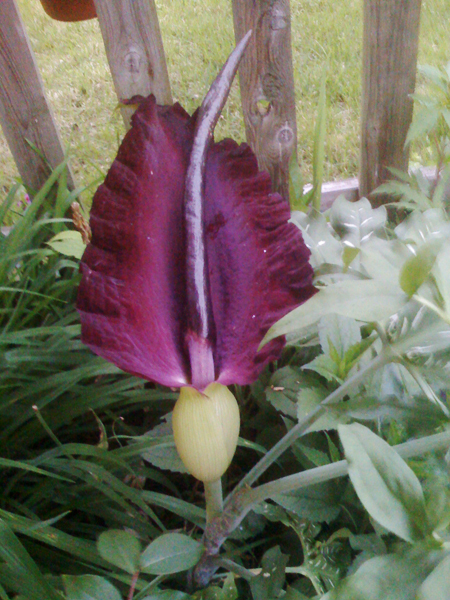 The other hit are all of the Viagra Lilies, Dracunculus vulgaris, that I have spread out around the garden. 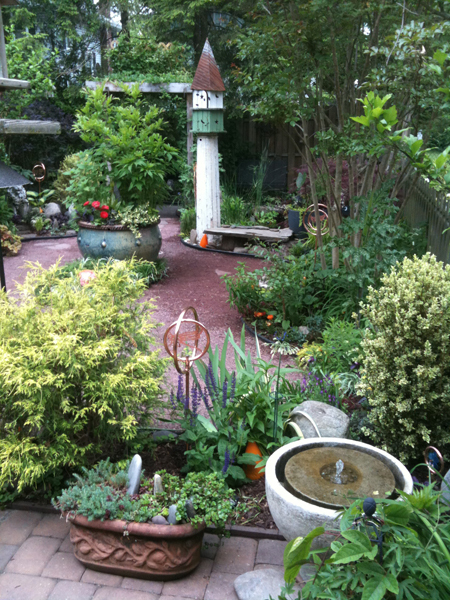 Their flowers grow to over 2' and I have measured my largest one at 28". Unfurtunately they were not quite ready to bloom. One should be popping in a couple of days. They propogate using fly's instead of the typically used bee's and to attract them they have a slight smell reminiciant of rotting meat for the first day. They are the cousin of the Voodo Lily, Amorphophallus, that has the largest flower in the world growing upwards of 8 feet in its native environment with the plant growing to 15 feet. Keep your eyes out in the Courior Post for photos and an article on the event. If you have any questions please feel free to email me using my contact link.